A stimulating and zesty blend of Sicilian lemon and fresh basil, this awakening fragrance is ideal for kitchens and bathrooms – clean, crisp and uplifting, it’s a little bit of sunshine in a beautiful frosted glass jar. Energising and uplifting, lemon oil is wonderful for focussing a busy mind – encouraging clear thinking to help you tackle life’s challenges. Basil then counteracts mental fatigue, so you feel instantly brighter and more alert – perfect ahead of a busy day, or as a pre-night out pick-me-up. 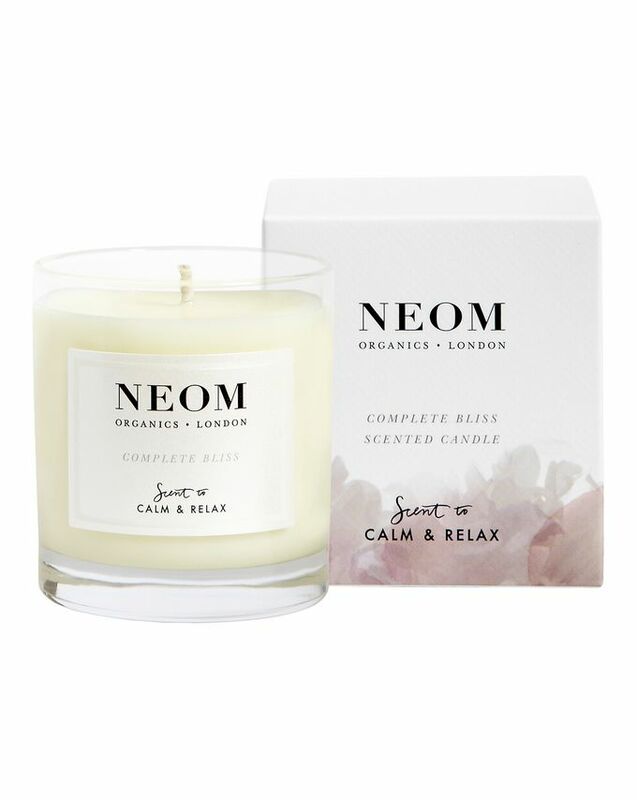 Small-but-mighty, the travel-sized version is perfect for smaller rooms, giving as a gift (it comes in a chic white box) or simply to discover your favourite NEOM fragrance. It’s also juuuuuuust the right size for taking on travels, so you can feel at home away from home (or imagine you’re in a Sicilian villa). Pure essential oils of Sicilian lemon and basil. 100% pure vegetable wax. I got this as part of one of the cults offers and have repurchased not only this scent but two others from the range. They are all gorgeous and refreshing and they really do leave you feeling relaxed even when yo are super stressed. I COULD NOT RECOMMEND ENOUGH!! Also, they are completely cruelty-free wish for me is a must!